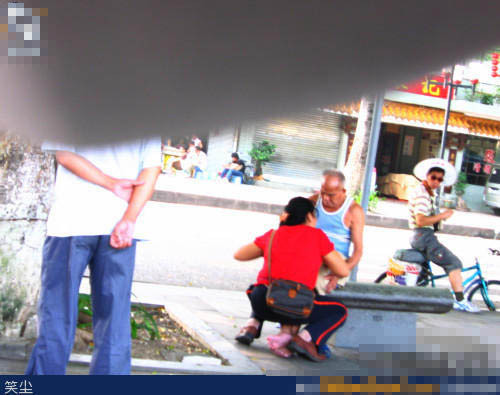 China The Blind Leading the Blind…. China has come a long way since they had such poor treatment for the disabled, they used to chastise, punish or even harm them. But welcome to the more civilized China, they now take care of everyone. 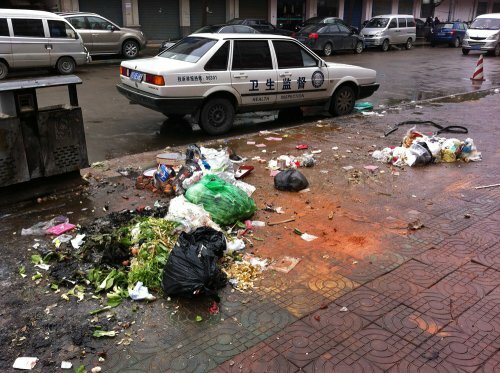 In the photos below (from chinasmack) you can see both the bad and good of China. Pay attention to the yellow or tannish tiles. These are tiles lain in the sidewalk to guide the blind. The blind need only stay on track, and follow these tiles and they will arrive at their destination. Ah but this is China and China and her attention to detail and/or safety are vividly displayed here. 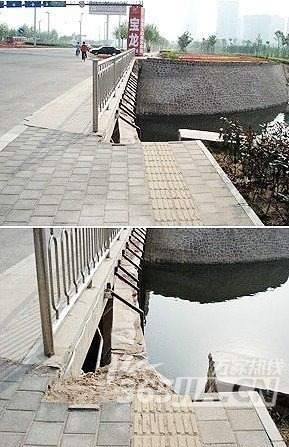 If you look at the tile below, it leads directly over the embankment and into the water, thus any blind person following this path will be surprised/injured…this is China…. these yellow tiles are to help the blind, they show them where the road or path leads to so… presumably if a blind person were to follow this path they would end up getting wet…. This entry was posted on September 21, 2010 at 5:47 am	and is filed under Uncategorized. You can follow any responses to this entry through the RSS 2.0 feed. You can leave a response, or trackback from your own site.